Last week, me and my whole family flew back to Manila for a whole week for a vacation with my our relatives back home and to celebrate the first birthday of our youngest daughter Jade. And where else do celebrate it? None other than the happiest place for kids in the Philippines, Jollibee. Well, I guess it has become sort of a tradition to many Filipinos to celebrate their kids’ parties in Jollibee. Jollibee is well loved by Filipino kids and adults alike mostly due to the food they serve that is very close to the Filipino taste, plus their mascots. Jollibee is the most famous fastfood brand in the Philippines beating McDonald’s. Jade was born on 8th of July but we have booked her party on a 14th in the Shangri-la Mall branch in Mandaluyong City. We have invited relatives and some close friends to join us. Well, the party is more for the kids and so we booked and made sure that Jollibee’s 5 mascots will be there to join us. Posted in Asia, Manila, Philippines. Tagged bida ang saya, birthday party, ChickenJoy, family oriented, fastfood, Jollibee, langhap sarap. January in the Philippines has been dedicated by the Vatican to be that special month to celebrate the feast of the most revered Catholic image of the Holy Child Jesus or most known locally as the Sto. Niño. All over the Philippines the feast of the Sto. 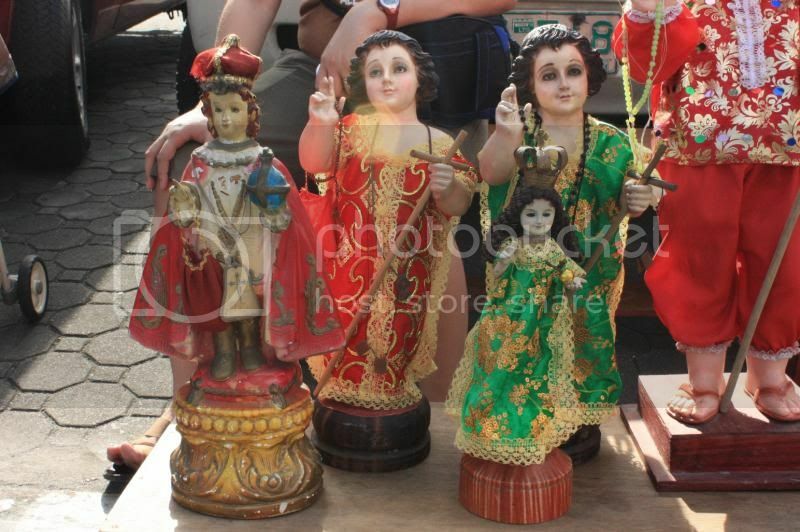 Niño is celebrated almost every week of January wherein the most notable among these festivals are the Sinulog Festival of Cebu, Dinagyang Festival of Iloilo, and the Ati-Atihan Festival of Kalibo. The great following to the image started from the arrival of the first image of the Sto. Niño brought by explorer, Ferdinand Magellan. This was first given as a gift to Queen Juana, the pagan queen of Cebu during that time, when they were baptized to the Catholic faith. But Magellan died later on and the Sto. Niño was left to become a pagan idol by the local tribes. It was only after 44 years when Miguel Lopez de Legaspi arrived and revived the image as a Catholic symbol. Posted in Asia, festival, Manila, Philippines. Tagged religious artifact, religious procession, Sto. Niño. Manila, Metro Manila that is, is not only a city rich in history that dates back to the 16th Century. Manila and its surrounding cities may also offer great shopping experiences from the upper class shopper to a bargain-bug. 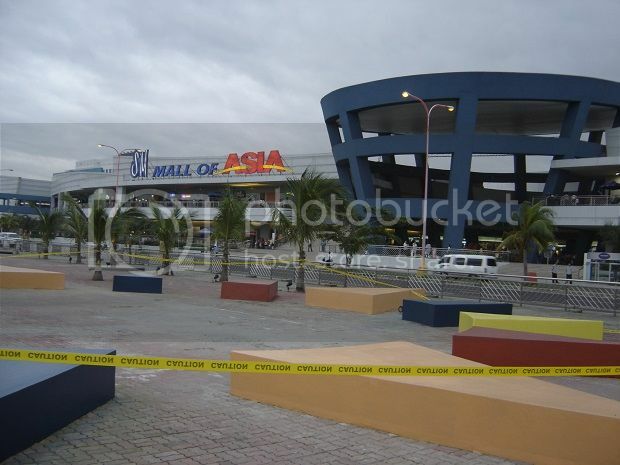 The following is a list of major shopping malls or districts around the metro. Currently is the third largest mall in the world in terms of gross floor area, a 386,000 square meters in total. It is composed of 4 buildings that are interconnected by walkways. Aside from providing a wide range of shopping experience, the mall also features several theaters and cinemas, restaurants, the Philippine’s first IMAX cinema, a Science Discovery Center, an Olympic sized ice skating rink, bowling alleys, billiard halls, and a supermarket. It also houses Dell Inc.’s contact center which adds to the growing number of Philippine call centers. The mall is located at the reclaimed area on Bay City in the city of Pasay and faces the Manila Bay. It has also been the location of the annual World Pyro Olympics where countries from around the world compete by their beautiful fireworks display on the bay. Posted in Asia, Manila, Philippines, shopping. Tagged Asian megacity, bargain areas, Divisoria, Mall of Asia, metropolitan area, shopping.